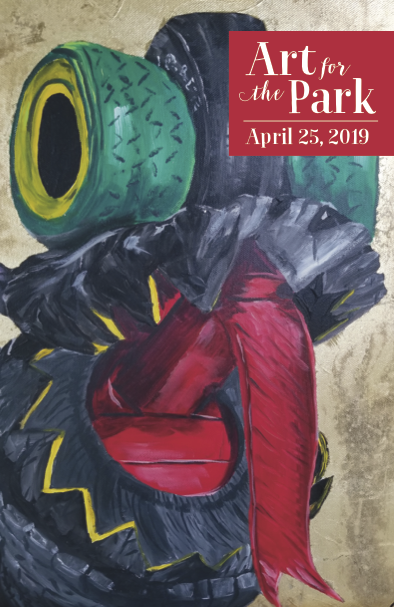 You are here: Home / Featured / Art for the Park 2019 is set for Thursday, April 25! What happens at ART FOR THE PARK? 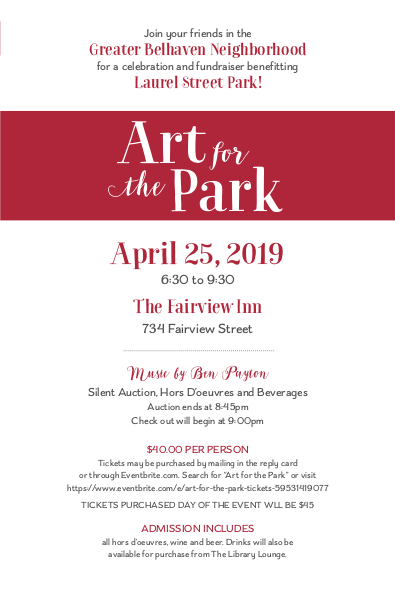 Your ticket allows you to enjoy a festive evening at the beautiful Fairview Inn complete with live music, hors d’oeuvres and treats catered by local restaurants, a selection of wine and beer, and a lively silent auction. The auction features original artwork, restaurant gift certificates and lots of other unique items up for bid! Featured artwork this year is donated by long-time Belhaven resident, Casey Creasey. What is the purpose of ART FOR THE PARK? 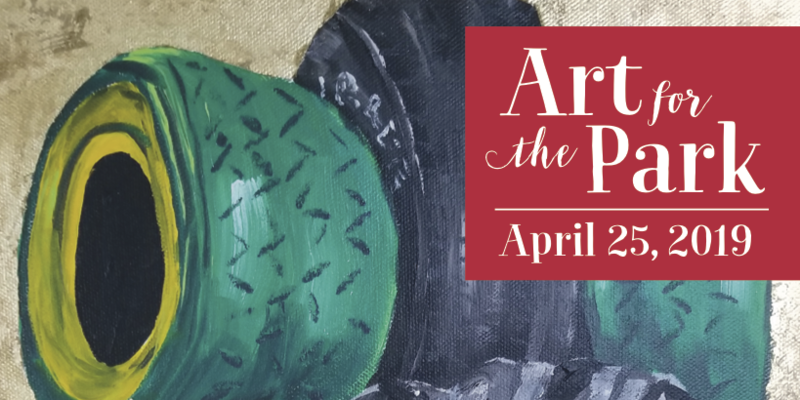 Art for the Park is a biennial art auction put on by the Friends of Laurel Street Park Committee and the Belhaven Garden Club which raises money for the maintenance and improvement of one of Jackson’s most beloved parks, Laurel Street Park, in the historic Belhaven neighborhood. This park is consistently used by residents in and around the Jackson area for outdoor play, birthday parties, soccer lessons, neighborhood meetings, and outdoor games, and is used by dog lovers, families and students alike. The Friends of Laurel Street Park is a Committee of the Greater Belhaven Foundation which works to improve and maintain Laurel Street Park with the cooperation and assistance of the City of Jackson parks department. Find out more about the Committee and the GBF here. 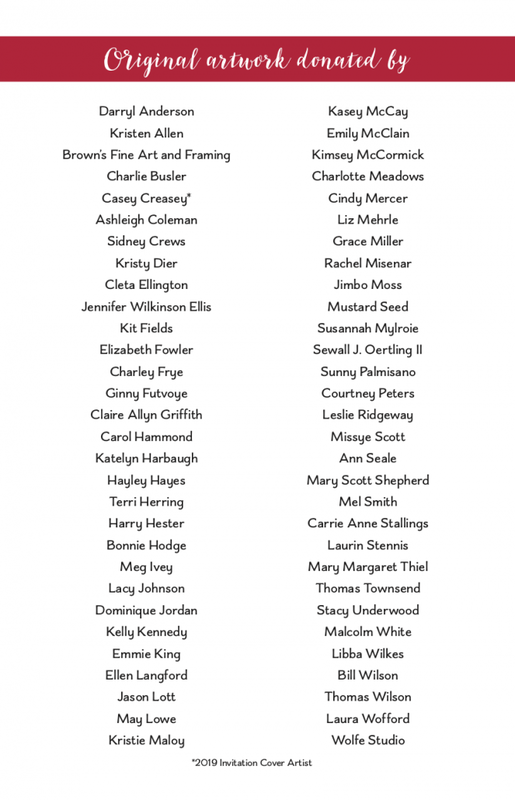 Where will the funds raised from ART FOR THE PARK be used? The money raised at Art for the Park in 2017 was used to host several large work days at the park where equipment was repainted, swings were replaced, benches were replaced and several new benches were added. The funds also recently were used to purchase security cameras for the park as well as an emergency call button! The Friends of Laurel Street Park have been hard at work on a master plan which includes a walking trail and new play areas for children. None of this would be possible without the funds raised Biennially at this event. 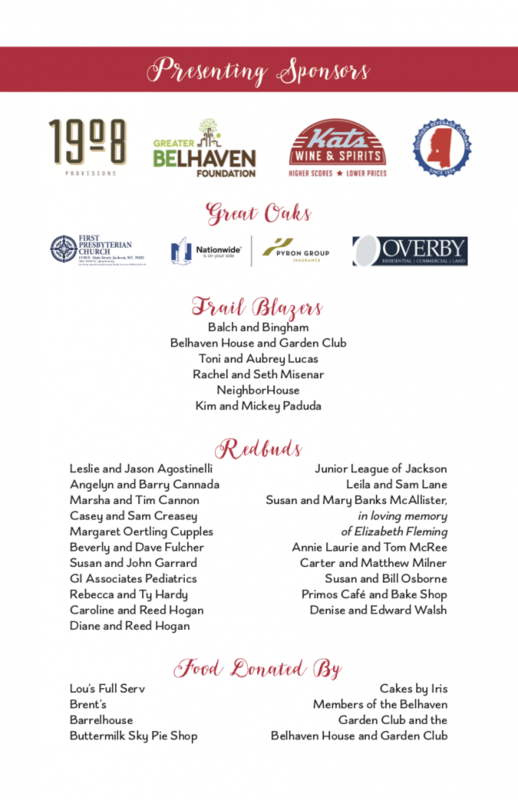 http://greaterbelhaven.com/wp-content/uploads/2019/04/ArtforthePark-cover.png 410 819 Greater Belhaven Foundation http://greaterbelhaven.com/wp-content/uploads/2017/02/GBF-Logo-Website.png Greater Belhaven Foundation2019-04-11 11:28:412019-04-11 11:28:41Art for the Park 2019 is set for Thursday, April 25!